One only new service to an international destination will start from Norwegian airports in July 2010. Norwegian Air Shuttle will start flights to Antalya July 3rd 2010. 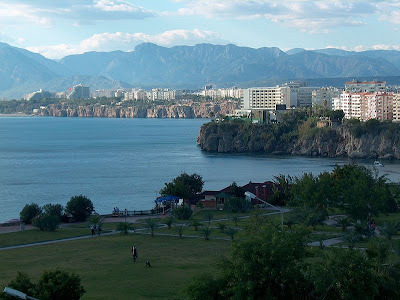 The city of Antalya (from Greek "Αττάλεια" - Attaleia) is located by the Mediterranean coast of southwestern Turkey, and the capital city of Antalya Province. Situated on coastal cliffs, Antalya is surrounded by mountains. It has developped from the 1970s into an attractive international resort.